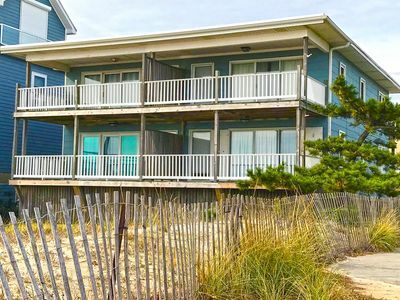 If you've always wanted to head to Ocean City but didn't know where to stay, this cozy dog-friendly vacation rental is the place for you. 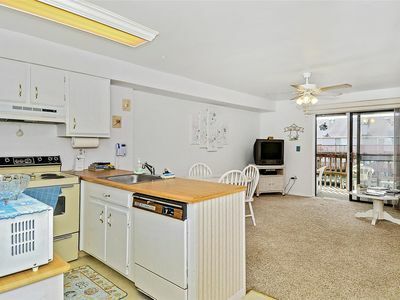 You get a full kitchen as well as two terraces, a communal pool, and beach access all in a lovely, three-story package. You're not far from the Route 90 Bridge but you're also in one of the quietest stretches of town. 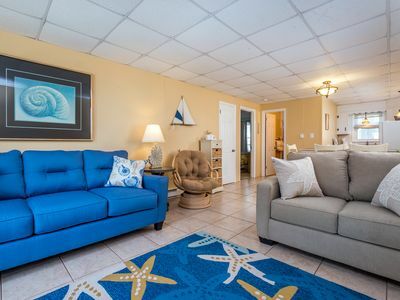 The Boardwalk, shopping, and other activities are mere minutes away and the beach is less than two blocks away. 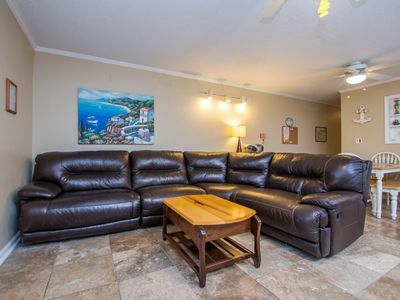 The living room has hardwood floors, a cambric sofabed, two armchairs, an ottoman, and a flatscreen TV. 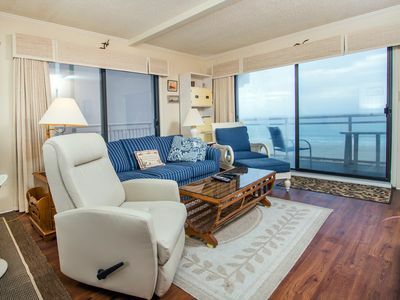 Head through the patio doors to the lovely scenic deck, and there's also a balcony with gorgeous bay views. 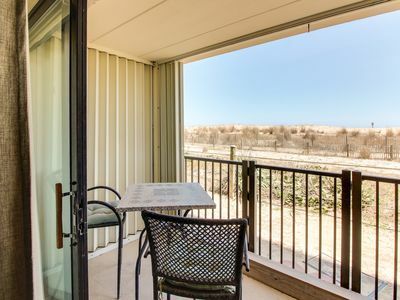 The kitchen and dining rooms are light-filled and boast stainless steel appliances and all the accoutrements one needs for a vacation to remember. The dining table has four chairs as well as two benches for comfortable seating for up to 10 guests. You get four bedrooms, including a master suite has a king bed, wooden furniture, and an en-suite bathroom with a standalone shower. The second master boasts a queen bed and antiques. 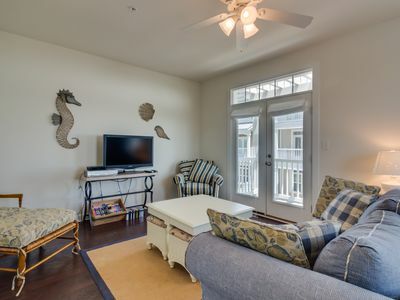 The third bedroom features a queen bed amid nautical themes. The fourth bedroom has a twin-over-full bunk bed, and there are two other bedrooms as well as a half bath. 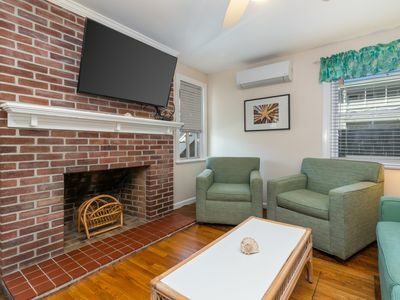 You get free WiFi as well as a washer and dryer and covered parking. Best of all is the seasonal pool, open from Memorial Day to late September (actual dates may vary). 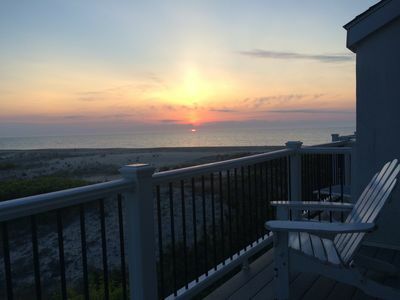 Maryland has many beautiful coastal towns but Ocean City remains its most popular, thanks to gorgeous beaches, a bustling boardwalk, and places to eat and shop until you drop. 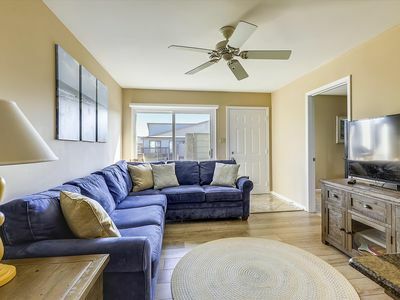 This modern and spacious Maryland vacation rental is the perfect spot for two families looking for a beach retreat in a private location. 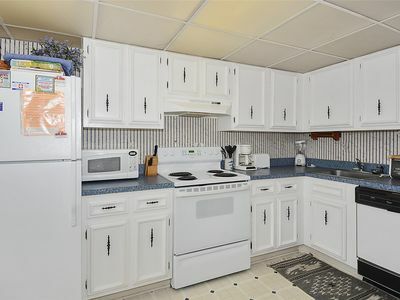 Parking Notes: 1 spot available in the garage, 1 spot available in short driveway behind garage, and plenty of public street parking available right on the side of the unit on 69th street. 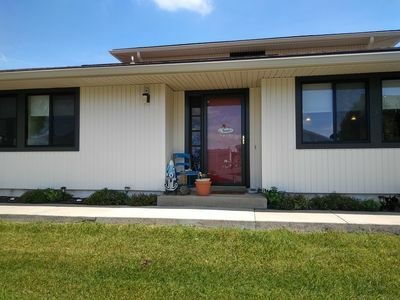 Garage should be opened from inside of the home. 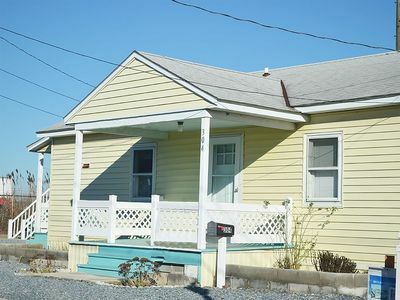 Water Access: From the front yard, walk a 1/2 block north (to the left) to 70th Street. Please use the traffic light to cross Coastal Highway. 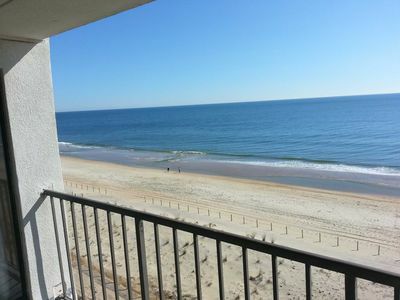 The beach is one block to the east. Just one building back from the beach! Gorgeous Gazebo Balcony! 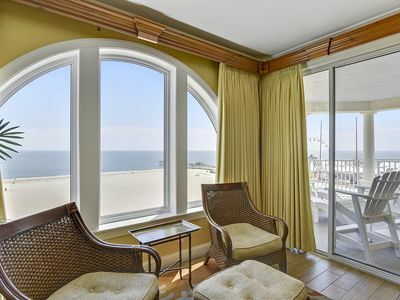 Luxurious Oceanfront Corner Condo on OC Boardwalk! 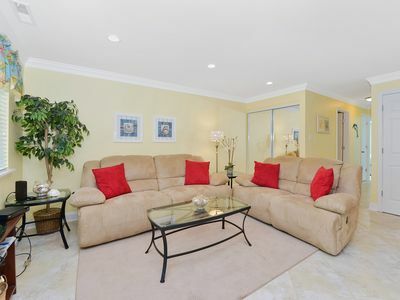 Upgraded 2 bedroom, 2 bath condo with nice decorator touches! 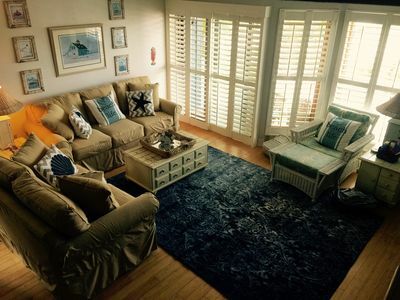 Cute 5th St. Condo Near Boardwalk - Pool & Wi-Fi - Grads Welcome! FREE DAILY ACTIVITIES!!! 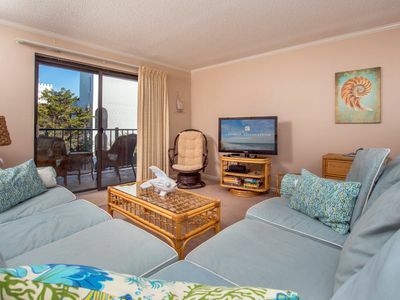 2 Bedroom/2.5 Baths Penthouse. Very pretty unit, two levels with wide spiral staircase. 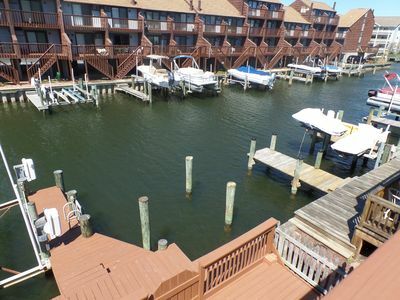 Comfortable, waterfront condo in historic Ocean City, MD Short-term available. 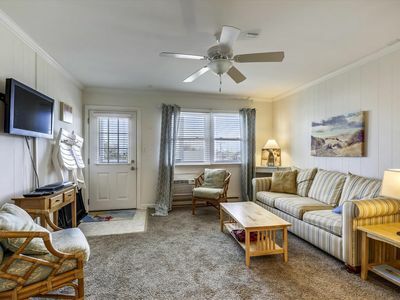 Cozy 2 Bedroom 2 Bath condo in Ocean City! 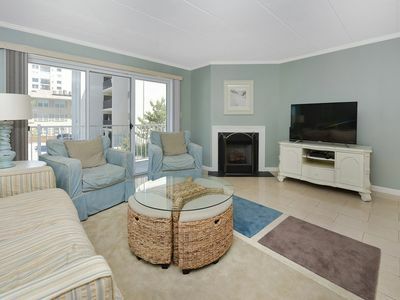 Short Walk to the Beach on 120th St. - Grill & Pool!